This bright and colorful carnival theme will have you smelling the funnel cakes in the air. . 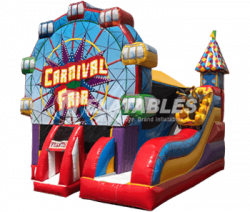 Features a huge moonwalk area, a crawl-through, a climbing obstacle, exterior slide, an interior and exterior basketball hoop, and an Entanglement™ game mat sewn onto the bouncer surface! 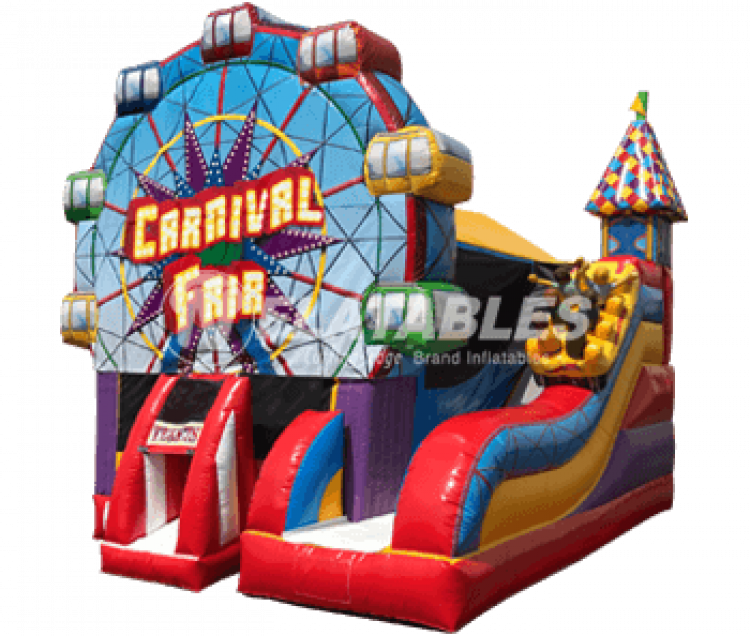 Its a must have for any carnival event. Rents for $269 a day with a 20% deposit.